PINELLAS COUNTY, Fla. — An iconic fishing pier in Pinellas County could soon meet a wrecking ball. State leaders and attorneys representing Pinellas County are teaming up to sue the owner of the Redington Long Pier to force him to tear the fishing pier down. The pier was badly damaged in Hurricane Irma and no longer stands up straight. Although the pier was closed to the public last year, county leaders say it is still putting people in danger because many people swim under the pier. Sherill Desiderio, a resident of Redington Shores says she sees that all the time. "People are constantly swimming under the pier. Just before the red tide hit, I watched as jet skiers zoomed in and out of the broken parts of the pier and we were like are you kidding,” she said. Desiderio says it's easy to spot the danger on the Redington Long Pier. "It looks like it’s going to fall into the gulf at any minute,” she said. During Hurricane Irma, she says chunks of the pier washed up on the beach near her apartment, two blocks down from where the pier stands. Jared Chaffin has noticed the dilapidation as well. “The wood is kind of peeling off. Everything is rusted,” he said while pointing to the underside of the pier. Pinellas County leaders say they've unsuccessfully tried for 12 years to get the owner to fix up the pier. Now, they're down to their last option: suing the owner, Tony Antonious and JERMC Ltd., and forcing them to tear it down. “I would be so depressed. I feel like they could do so many other things with it, you know,” Chaffin said with a sigh. He's overlooked the pier from his father's condo on the beach for the last 7 years. Antonious tells ABC Action News he simply doesn't have the $400,000 it would take to make repairs or demolish the pier, adding that he tried to get city leaders to rezone the property so he could sell it, but was told that's not an option. Yet after 56 years of memories, Redington Shores residents say they'll be sad to see it go. “It’s been such an iconic fixture in our area for so long, just to see it crumble into the Gulf is awful,” Desiderio added. According to the pending litigation, Pinellas County obtained an injunction in 2006 to secure the pier and prohibit public access until it was fixed. 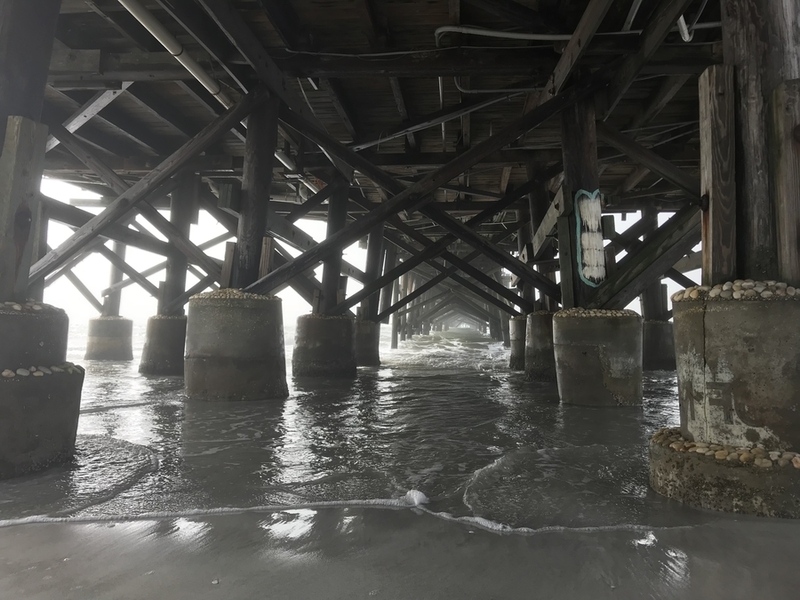 The county adds that JERMC Ltd. and Antonious have been afforded ample opportunity to bring the pier into code compliance, but have not done so. Nearly 2,000 Redington Shores residents recently signed a petition urging town and county leaders to find a way to save the iconic and historic pier.